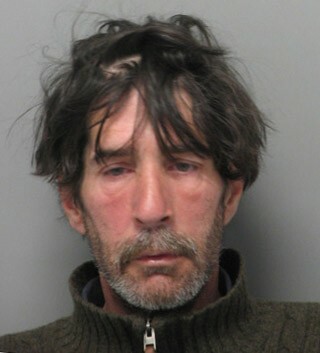 Mark Delude after his arrest in May. Authorities say they do not have enough evidence to charge the man identified as a "person of interest" in the death of homeless man in May, and are uncertain if anyone will ever face charges in the case. Earlier this summer, authorities said they were waiting for a final autopsy report before deciding whether to charge Mark Delude,52, in connection with the death of Forrest Bryant. In a recent interview, Chittenden County State's Attorney T.J. Donovan said that report did not provide enough evidence to warrant charging Delude, who has claimed he struck Bryant in self-defense. Donovan said that Bryant's death was ruled a homicide, but the prosecutor declined to provide additional details. "We're going to hold it and continue to investigate," Donovan said. "It's a difficult case to prove right now. We need to continue to collect evidence." The men had been living in a homeless encampment off Pine Street with about a dozen other people. Other tent campers said that Delude was the de facto leader, while Bryant, 40, had arrived a few weeks before he died. Delude told police he hit Bryant once in the forehead in self-defense after Bryant broke into his tent, according to court documents. "Had to do what I had to do," Delude told police, according to a police affidavit. Delude has pleaded not guilty to obstruction of justice, for allegedly urging fellow tent campers to remain silent when police asked for information, and to an unrelated charge of trespass. Delude is being held in Northwest State Correctional Facility in Swanton for lack of $10,000 bail. His attorneys could not immediately be reached for comment. The investigation is likely hampered by two circumstances. Court records list no eyewitnesses to the altercation, and many of the people who lived in the encampment have since scattered. "This is an ongoing investigation," Burlington Police Chief Michael Schirling said. "They're complicated circumstances, so we'll continue to use all our resources to uncover as much information as possible." Delude has a lengthy criminal record. Bryant did not have any roots in the area. He had been in St. Albans, and previously spent time in New York and southern Vermont. He had no record of causing trouble in Burlington, Schirling said. Police had notified residents of the encampment that they would have to move days before the killing.